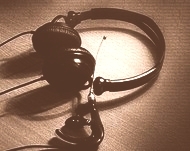 Welcome to the website of the MA in Conference Interpreting! You can find all the essential information on course content, language combinations and members of staff on this website. Should you not find answers to all of your questions concerning the program, how to apply or career prospects, please do not hesitate to contact one of the people mentioned below. The MA course has been running since October 2002, when the former four-year undergraduate course in conference interpreting was phased out. No tuition fees are payable for the two- year course of studies. 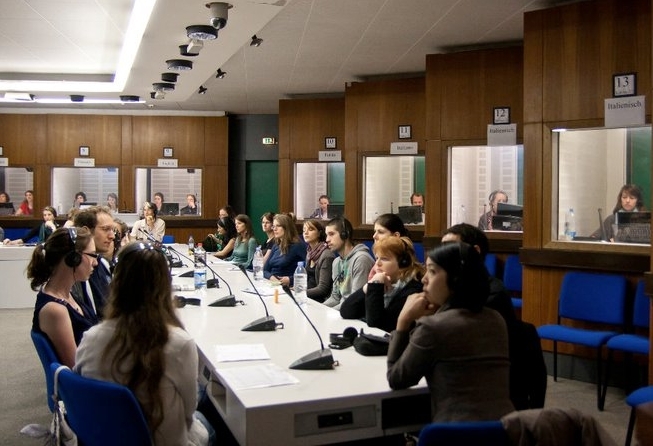 The department is equipped with state of the art conference interpreting facilities. Virtually all of the staff are practicing conference interpreters with considerable professional experience. 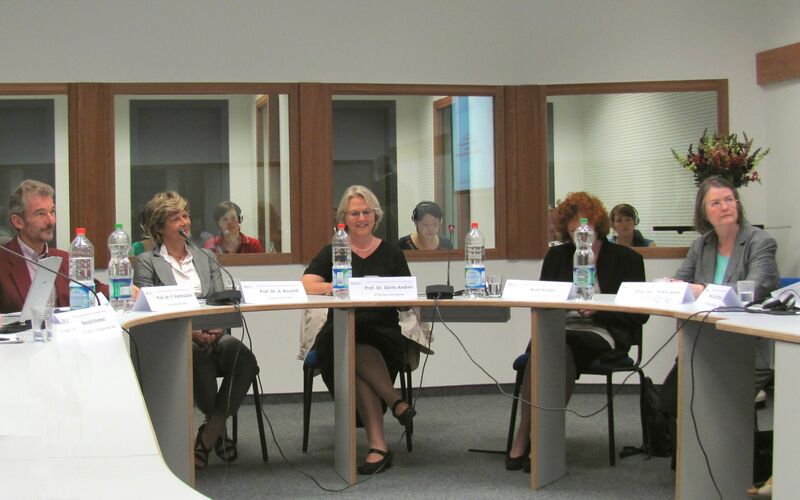 Many of them are members of AIIC, the most prestigious international association of interpreters or of the leading professional association in Germany, the VKD. Our students come from many different countries, which gives the learning environment a distinctly international flair. Applicants for the MA must have a good (upper second) BA degree in any academic subject. All applicants will be required to sit an entrance test. Relevant criteria are excellent general knowledge, mastery of your mother tongue and your two foreign languages and an aptitude test for conference interpreting. The MA in Conference Interpreting requires students to study two foreign languages, one as an active (B- language) and the other as a passive (C -language) foreign language. You will be required to work from your mother tongue into your B- language and vice versa and from your C -language into your mother tongue. The course always starts in the winter semester and is available to students with the following mother tongues (A -languages): Dutch, English, French, German, Italian, Modern Greek, Polish and Russian. The program runs over four semesters and includes classes in simultaneous and consecutive interpreting, interpreting theory, note-taking, terminology, professional ethics and a variety of other classes. The course consists of nine modules and leads to an MA degree in Conference Interpreting. Our graduates are equipped with the best possible skills for working both on the national as well as on the international market. Post graduate doctoral studies are of course also an option. Our graduates are working as conference interpreters for multinational companies, at scientific and academic congresses, in German government ministries and in international organizations such as the European Commission, the European Parliament, the European Court of Justice and the UN. Some of our graduates opt for post graduate research in the field of interpreting studies. Interested? Then proceed straight to How to apply! → Arbeitsgruppe "Didaktik des Konferenzdolmetschens"